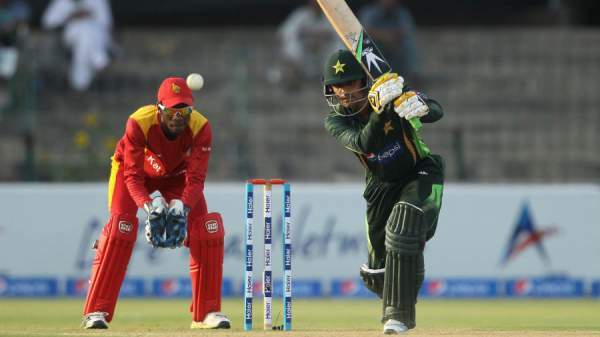 It’s the 1st T20 match of Pakistan vs Zimbabwe tri-series including Australia in Zimbabwe. Here, we will talk about its details – preview, prediction, live streaming, score, tv channel, etc. You can watch live cricket match today online on PTV Sports in Pakistan. PAK vs ZIM is to be played on July 1, 2018, at Harare Sports Club located in Harare city of the host nation. As per the schedule, the match will kick off at 11:00 am GMT, 1:30 pm IST. Speaking of the papers, the visitor team holds an excellent head to head record against the host in the shortest form of cricket, twenty20. So far, Pakistan has won all the nine games. Mohammad Hafeez has been added to the 15-member T20I squad as an all-rounder. Besides Hafeez, the team has added 22-year-old S Farhan in place of A Shehzad after he was found guilty in a dope test. Babar Azam is still out of the squad as he is recovering from a wrist fracture which he got on the England tour. The key players for the Zimbabwean side are Taylor, Raza, Cremer, Williams, and Ervine. But, unfortunately, none of them are available due to the play dispute with Zimbabwe cricket. Now, let’s move on to the live stream and broadcast details of the tri-series. In India and its subcontinent (including Sri Lanka, Afghanistan, Nepal, Bangladesh, Pakistan, Maldives, and Bhutan), Sony Six and its HD version tv channel will broadcast the triangular series. However, if you can’t watch it on television, you can still stream it online on SonyLiv (website and app). Sony Pictures Networks India (SPNI) is the official broadcaster for the series. It has acquired exclusive rights for the same for a period of five years from 2018 to 2022 for the Indian subcontinent. South African viewers will get to catch the latest updates via SuperSport telecast. The live streaming of PAK vs ZIM will be available on the SuperSport digital platform – both website and app. The Middle East and North Africa will get live updates via OSN Sports Cricket HD.